Choose the inTOOL that fit your ENTERPRISE / CUSTOMER needs. Keep all the documentation of one project at your fingertips. Read your docs as if you were meters away from the device. Define the Information Security Management System (ISMS) to satisfy your business objectives. In injection moulding, any inTOOL allows a complete traceability and management during all the useful life of the mould. 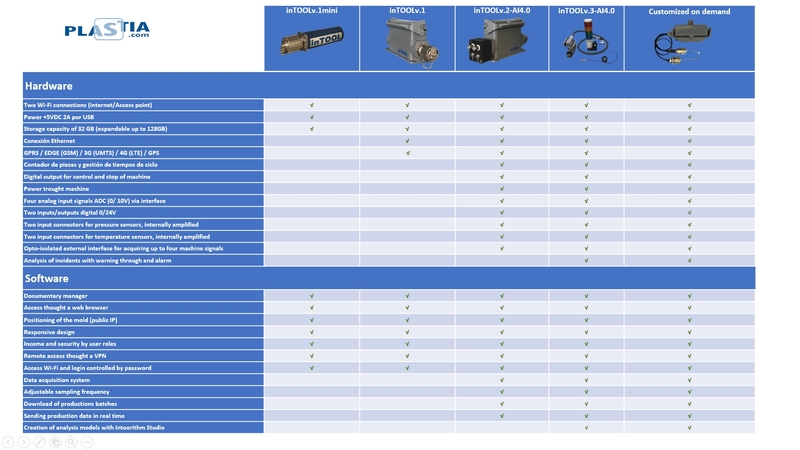 The Data Acquisition System (DAS) works with several kind of sensors like Kistler, Priamus, and Fos. Before acquiring sensor data, it is necessary to define the conversion factor, the calibration and the full scale for each sensor. All acquired data can be sent to a cloud or to a server for its further analysis. Furthermore, the module suggests required maintenance operations and helps increase equipment readiness. 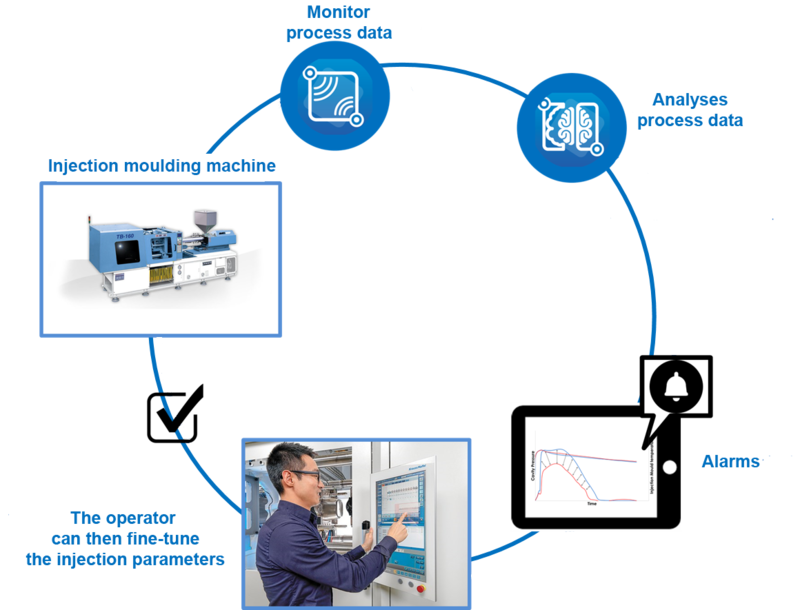 With predictive maintenance capabilities, your company can determine the remaining value of assets and accurately determine when a machine, component or part is likely to fail, and thus needs to be replaced. In injection moulding, machine signals, cavity pressures and cavity temperatures are typical acquired data. The quality assurance (QA) module (called Intoorithm Studio) is utilized for monitoring and diagnosis. It guides the user in building models at different levels of complexity to detect singularities. Cavity pressure has been found to be a reliable process indicator in injection molding for both part quality and process monitoring. Cavity pressure monitoring can be employed to detect any process deviation that may cause defects in part quality. Know where your devices are using public IP. inTOOL is a process control system that can help reduce mould set up time, reduce scrap and energy consumption and increase productivity and flexibility.